A teacher telling her policeman husband who is always right! 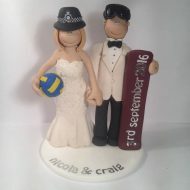 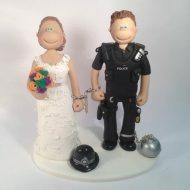 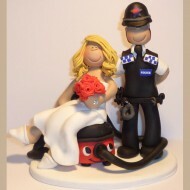 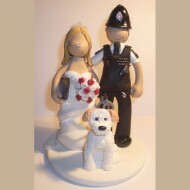 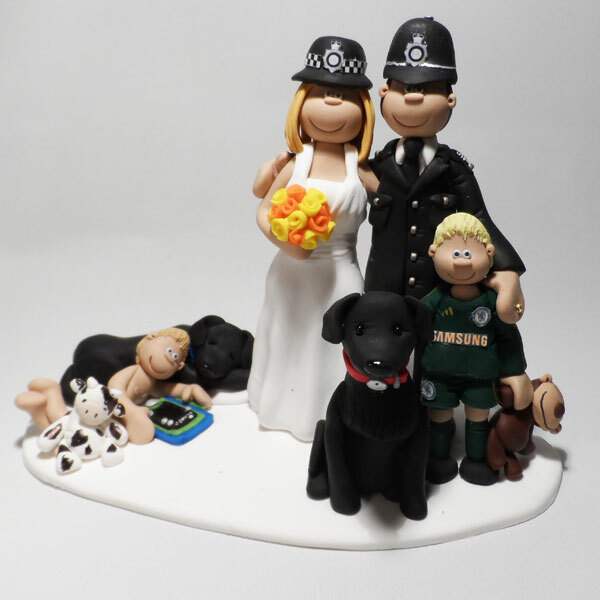 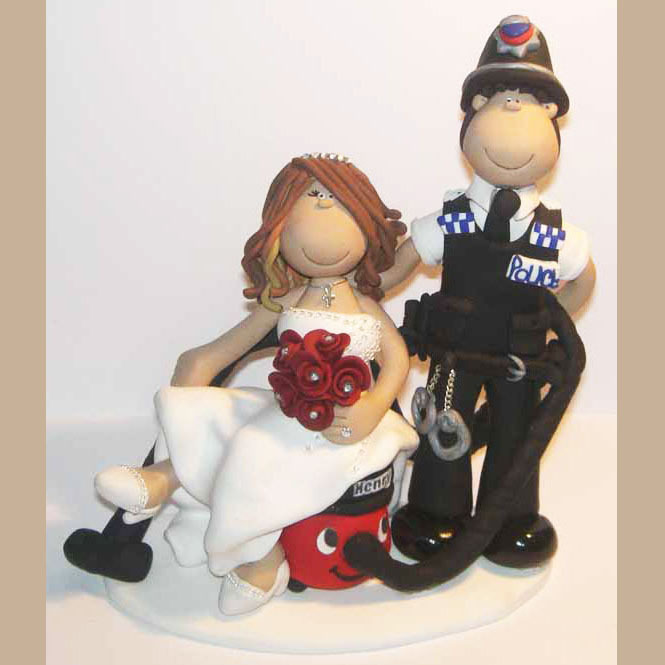 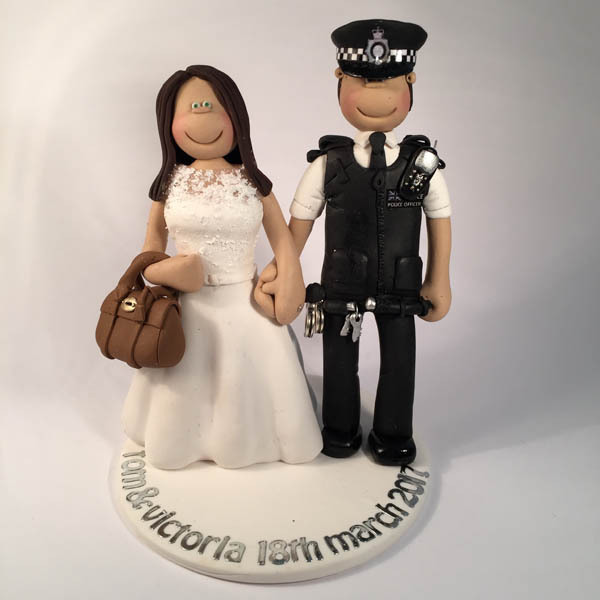 A policeman attached to his bride by a ball and chain in this topper! This couple clearly have something in common! 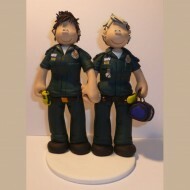 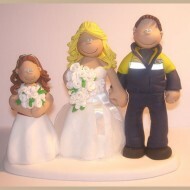 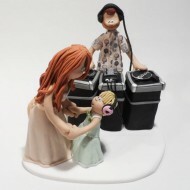 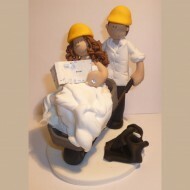 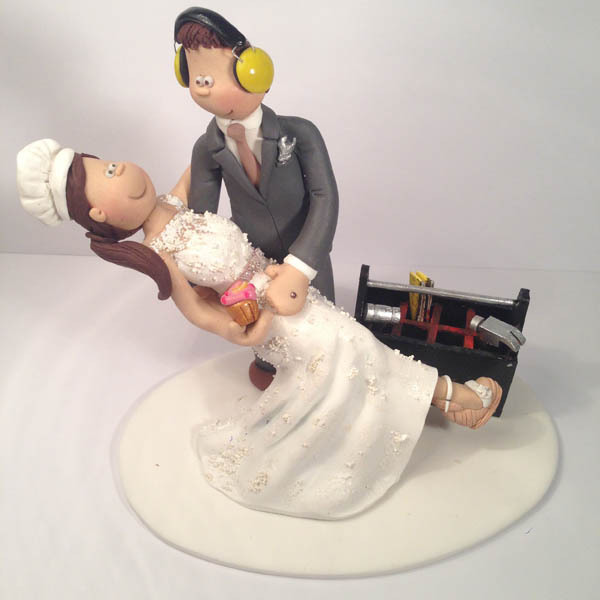 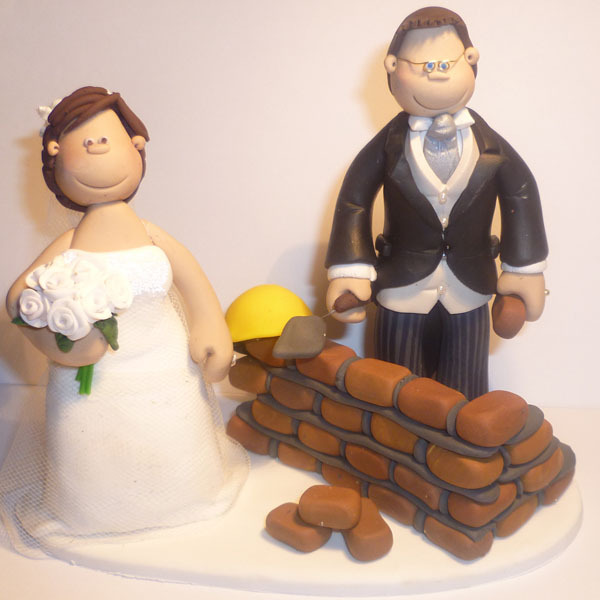 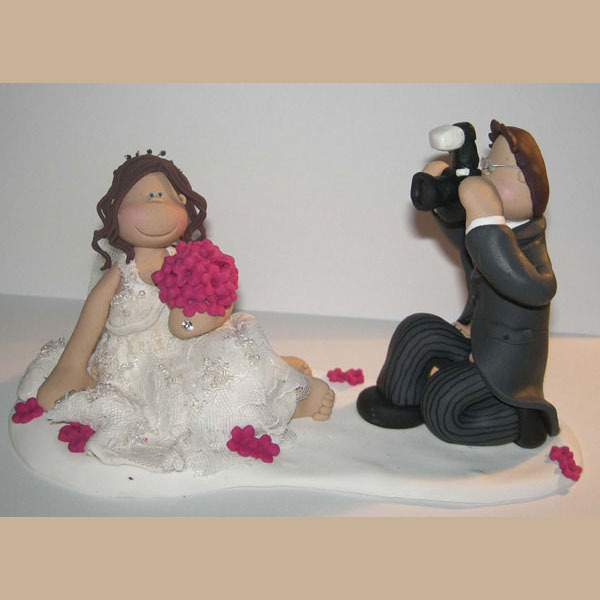 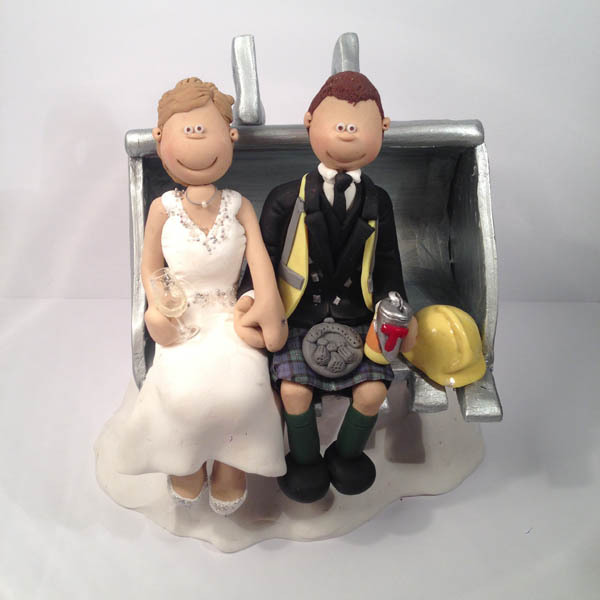 This cake topper features a handyman and baker! 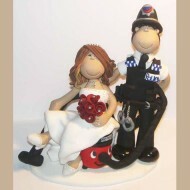 A traffic officer with his horse mounted police bride! 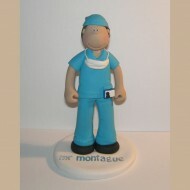 A male nurse who really likes his Starbucks coffee! 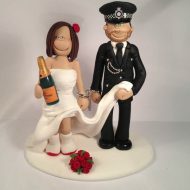 A traffic officer arresting his soon to be wife! 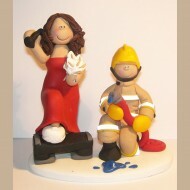 A fire fighting groom with his fitness mad bride! 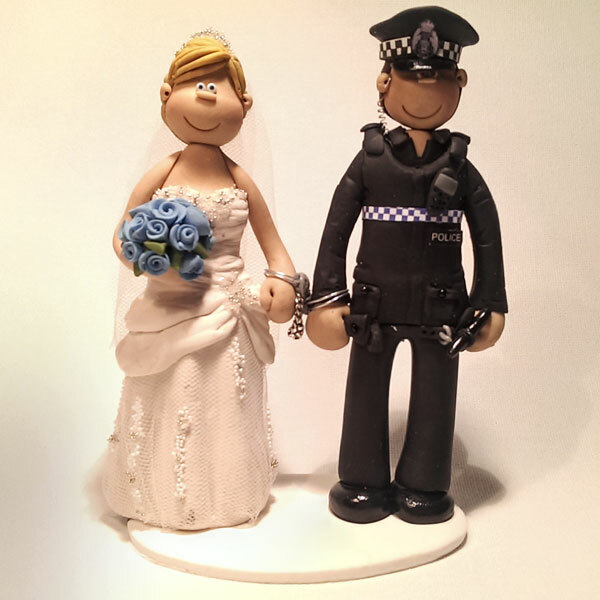 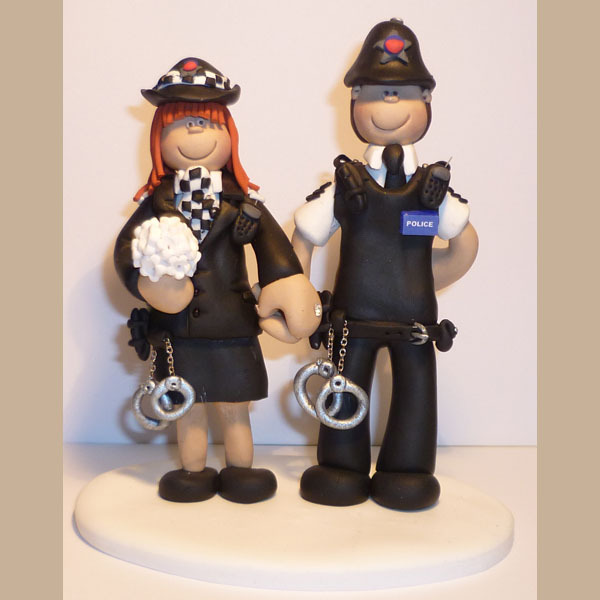 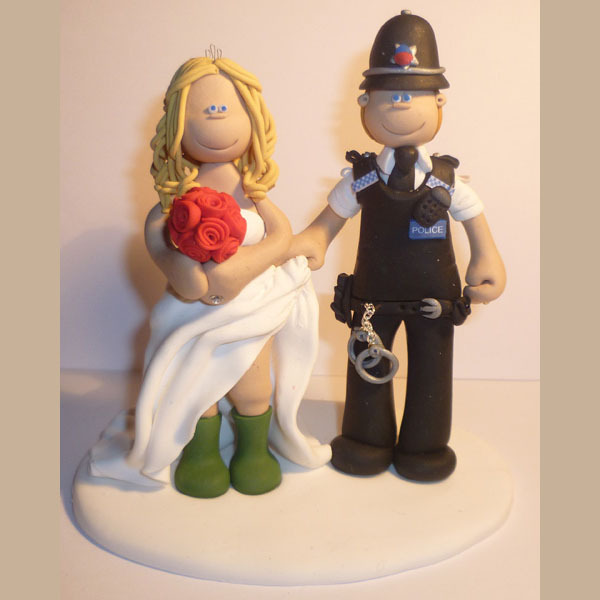 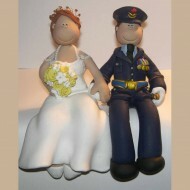 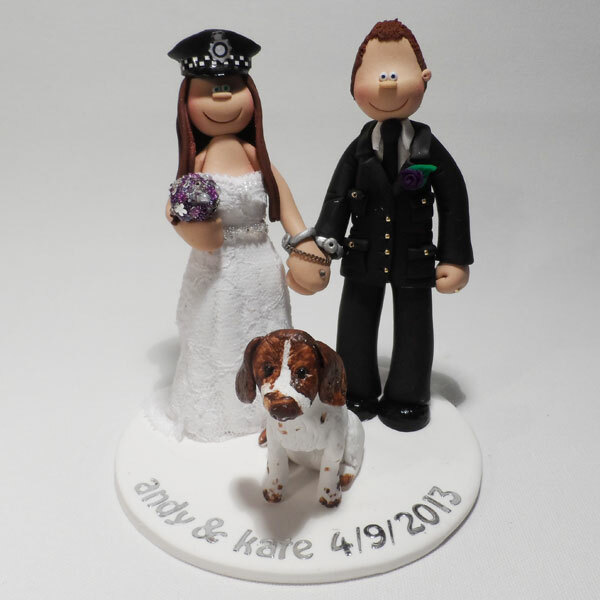 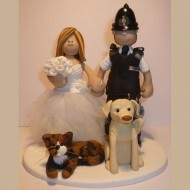 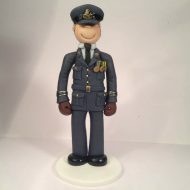 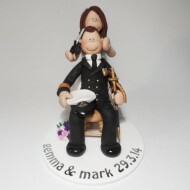 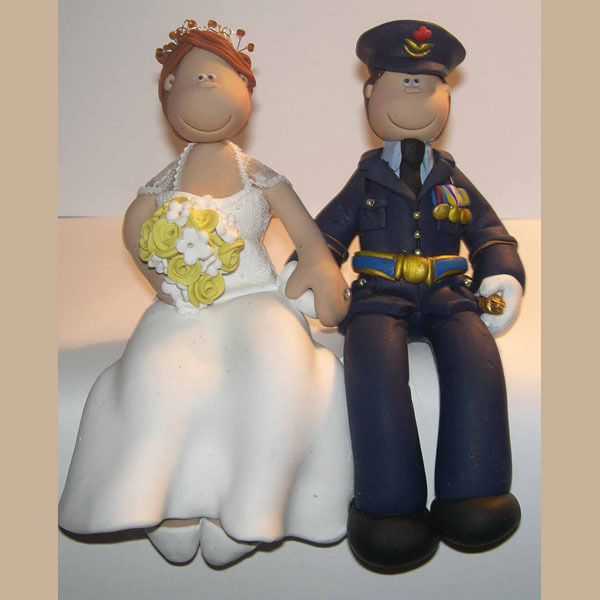 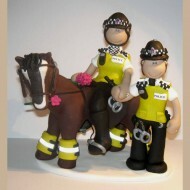 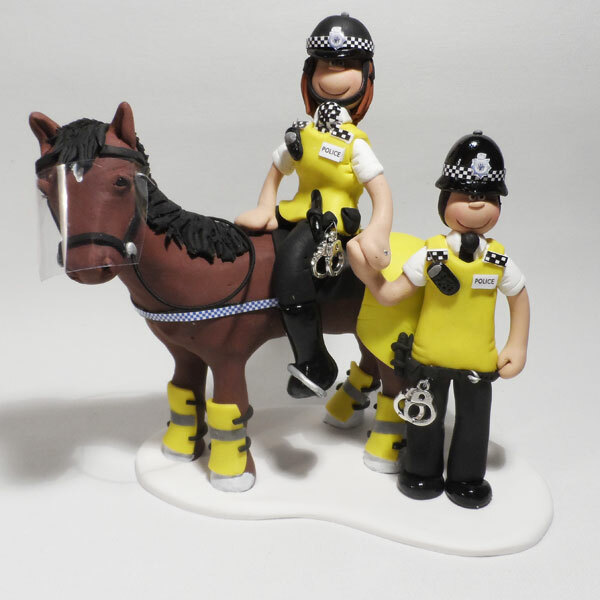 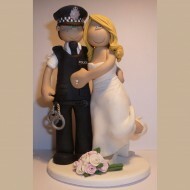 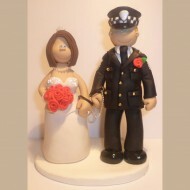 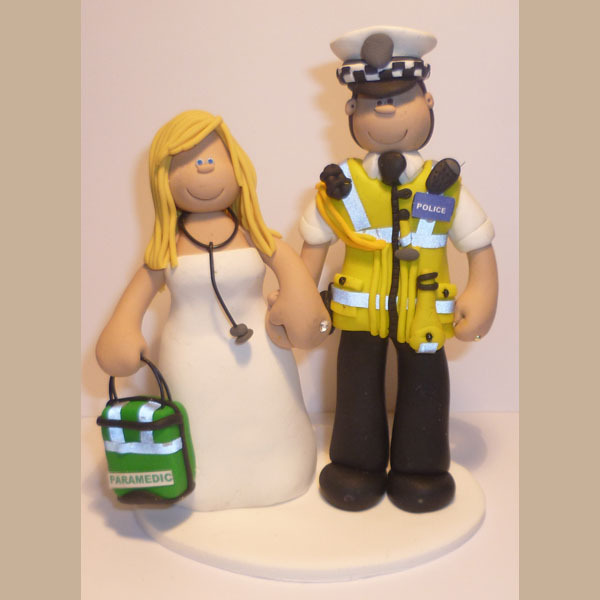 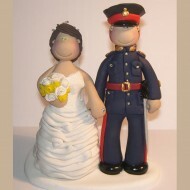 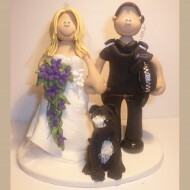 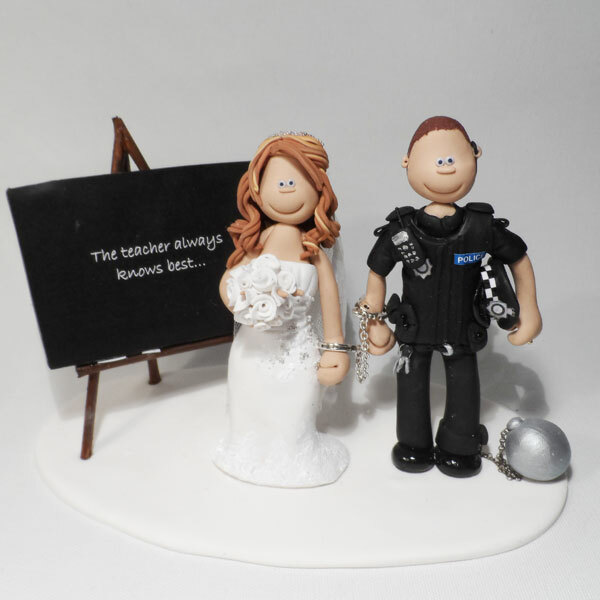 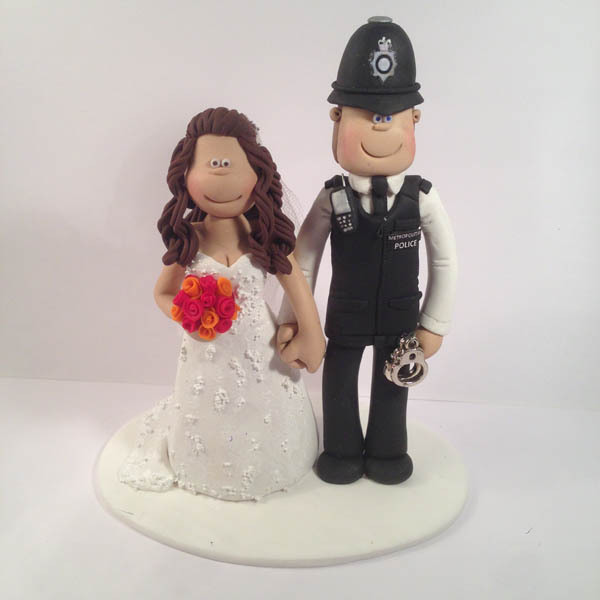 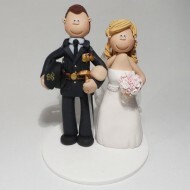 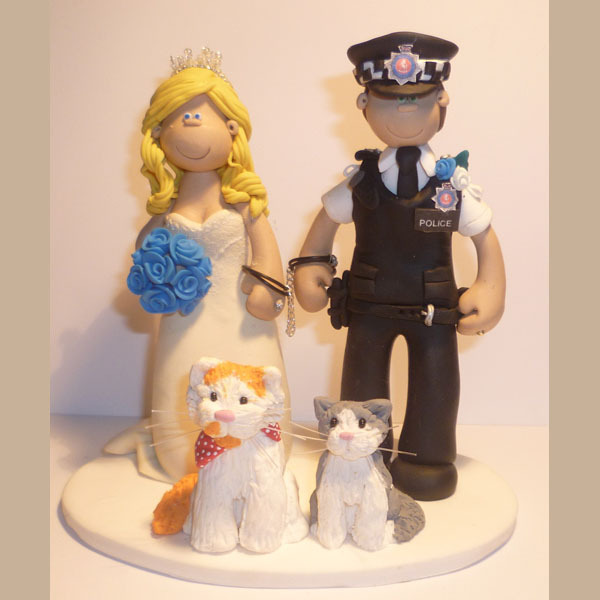 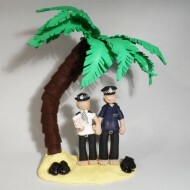 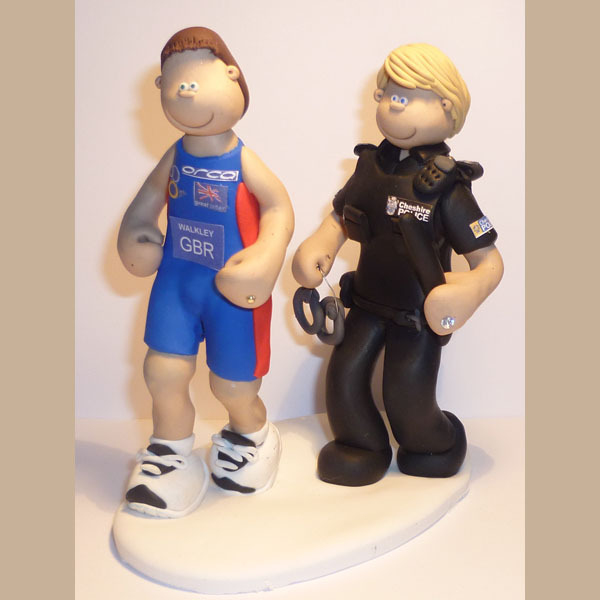 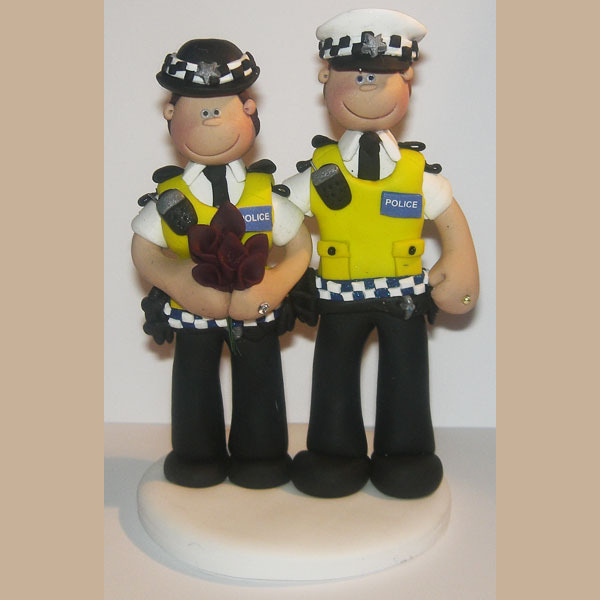 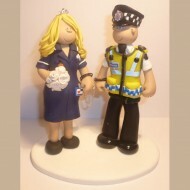 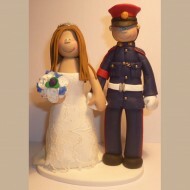 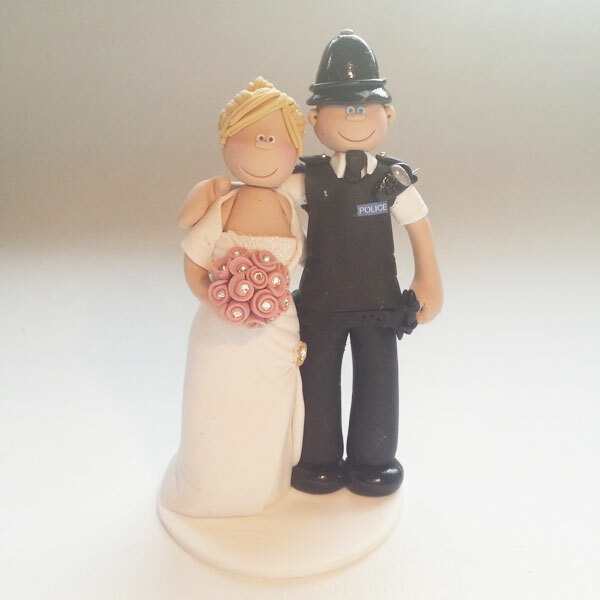 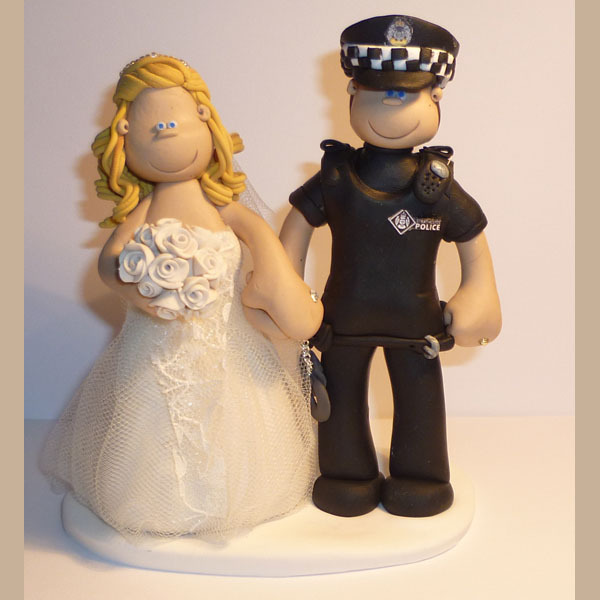 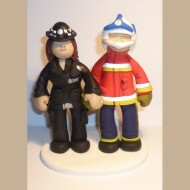 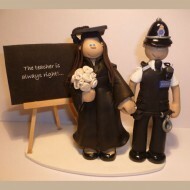 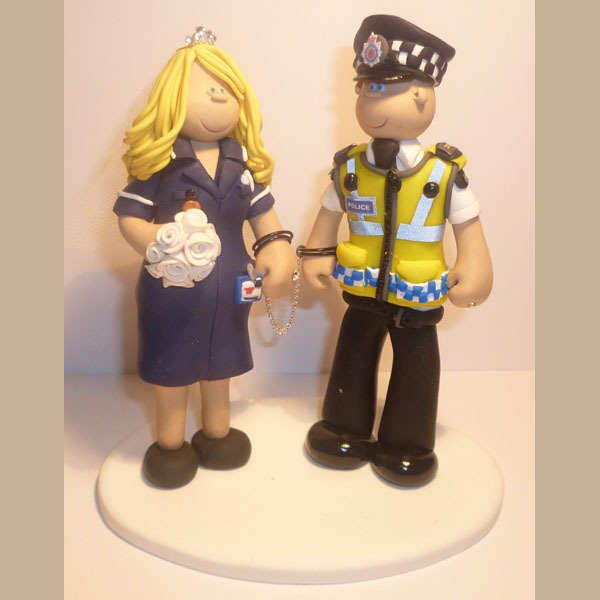 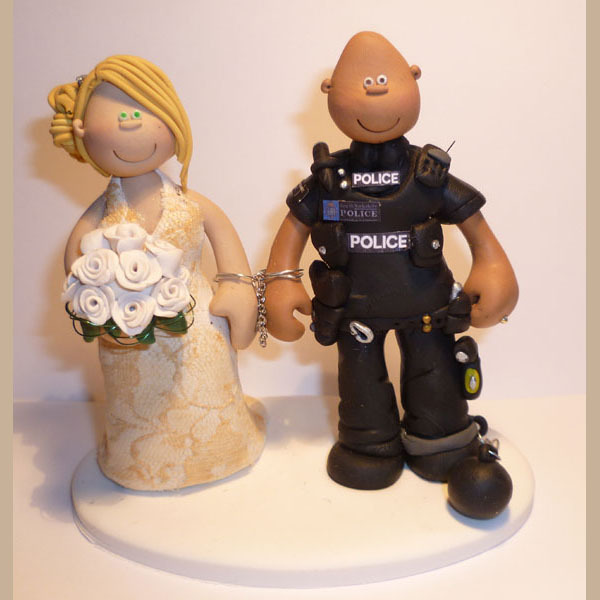 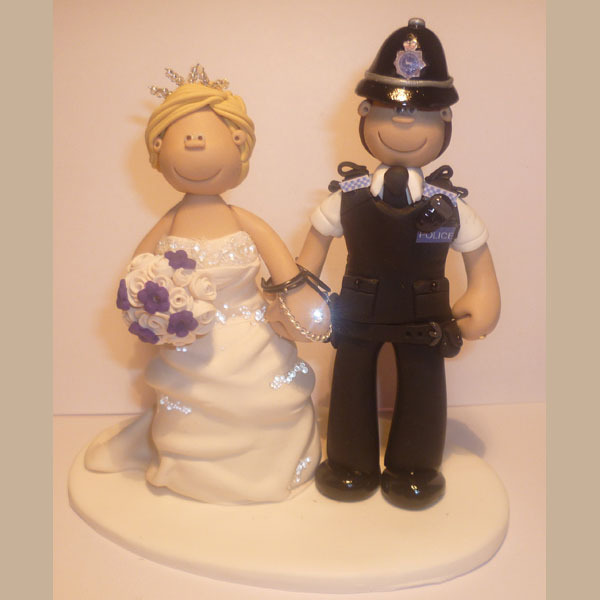 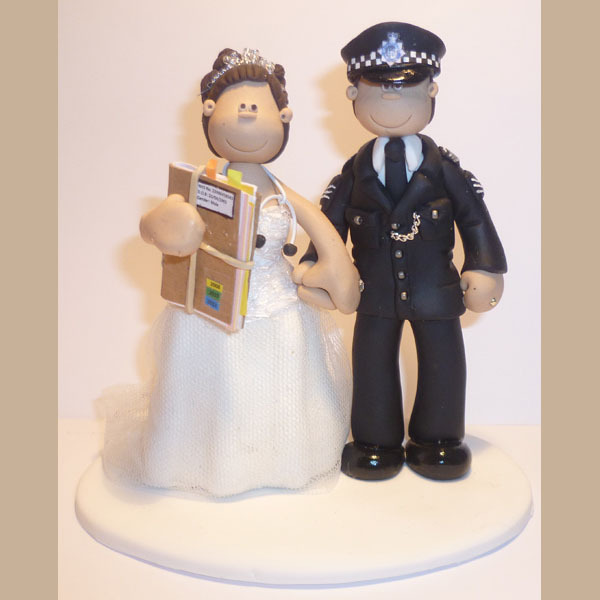 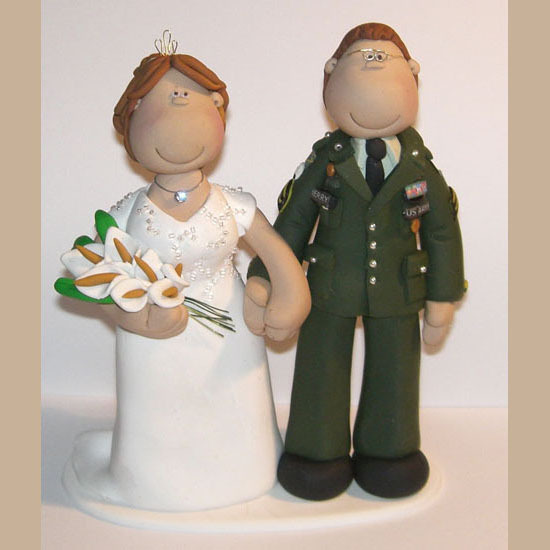 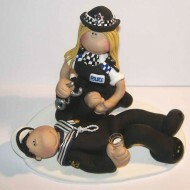 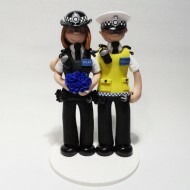 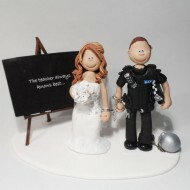 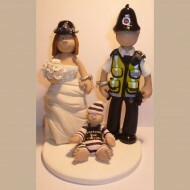 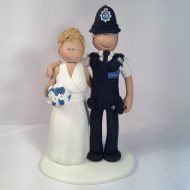 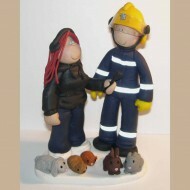 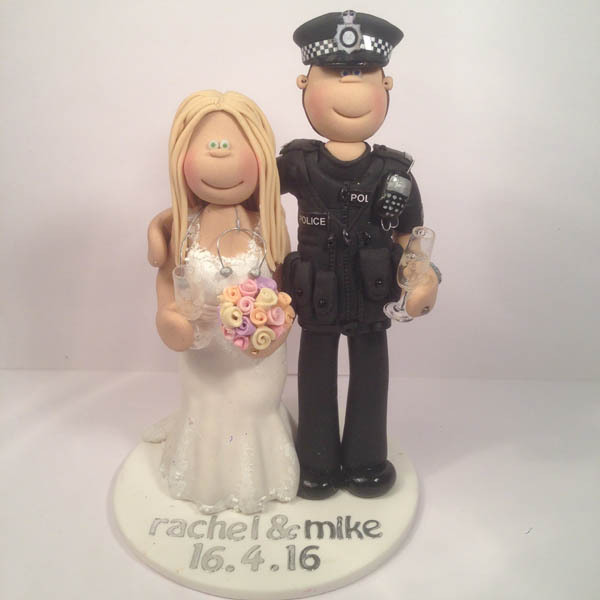 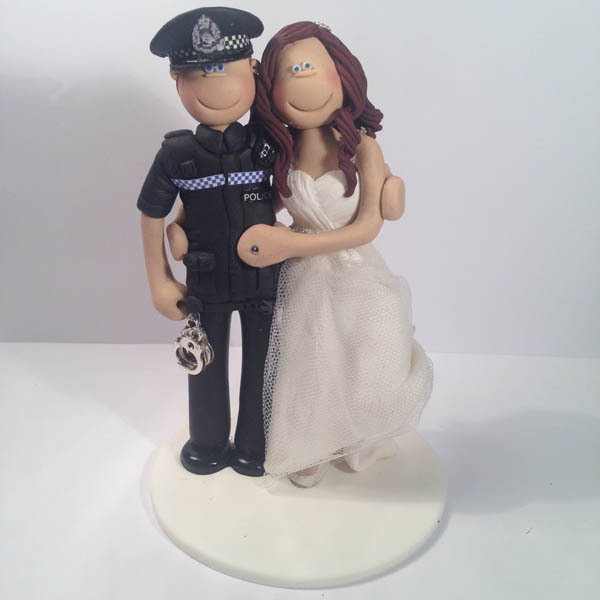 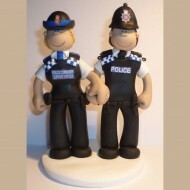 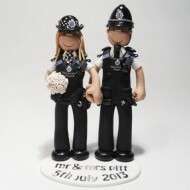 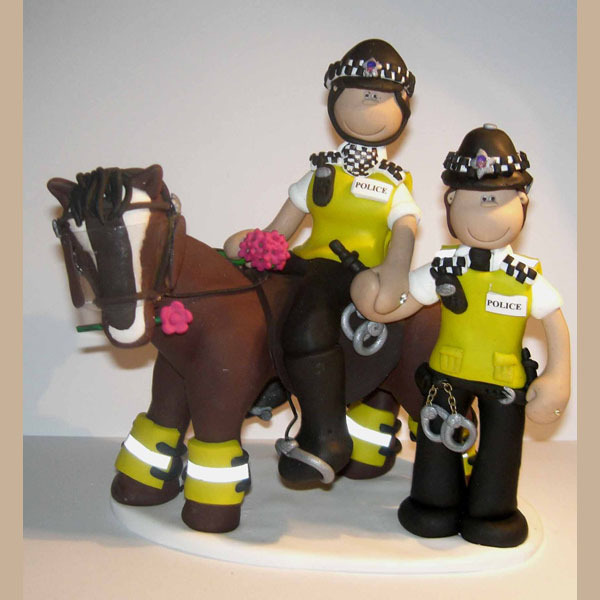 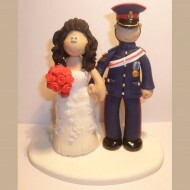 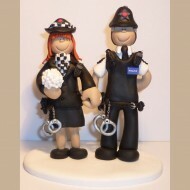 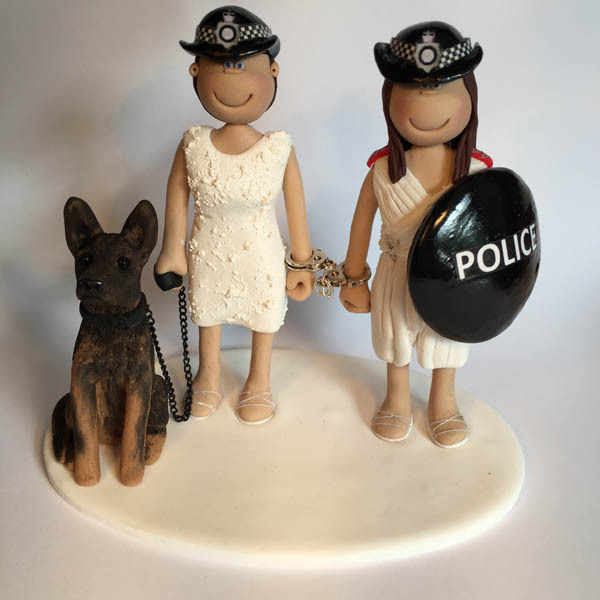 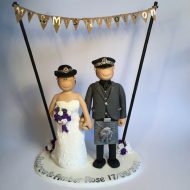 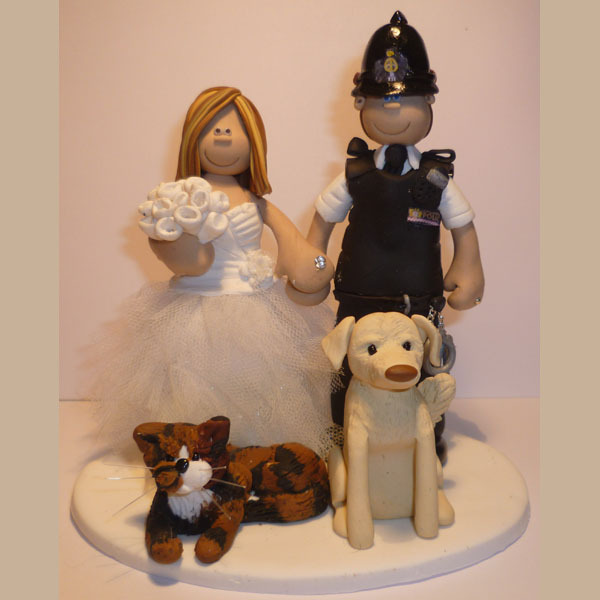 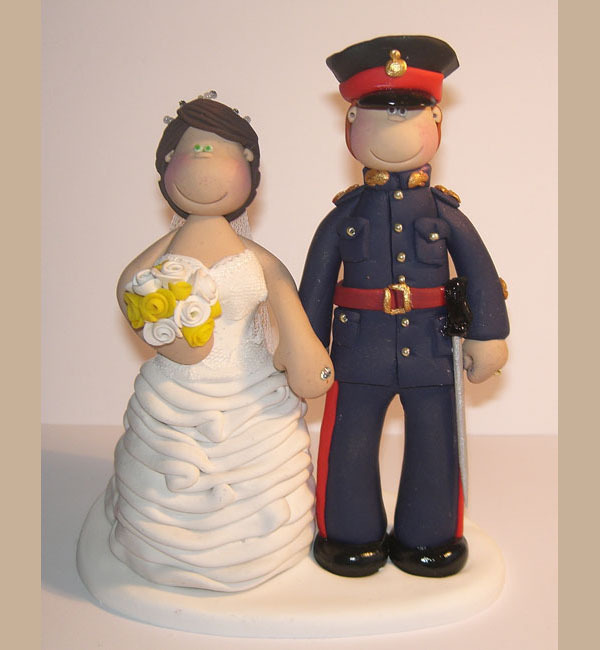 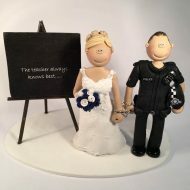 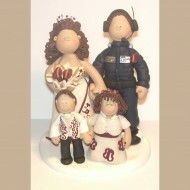 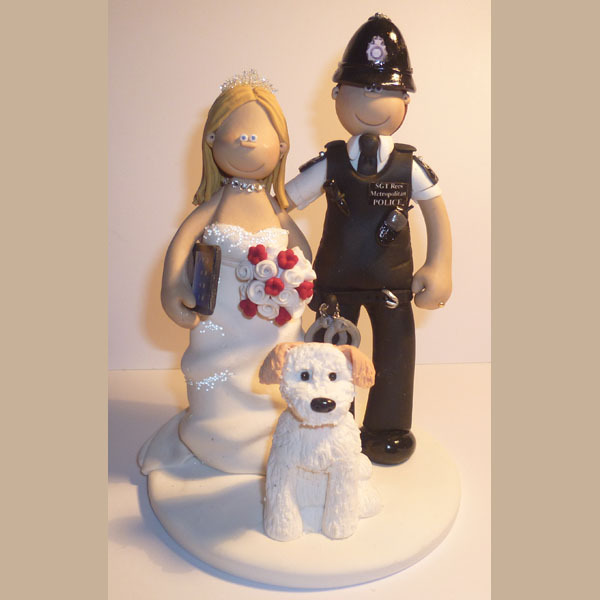 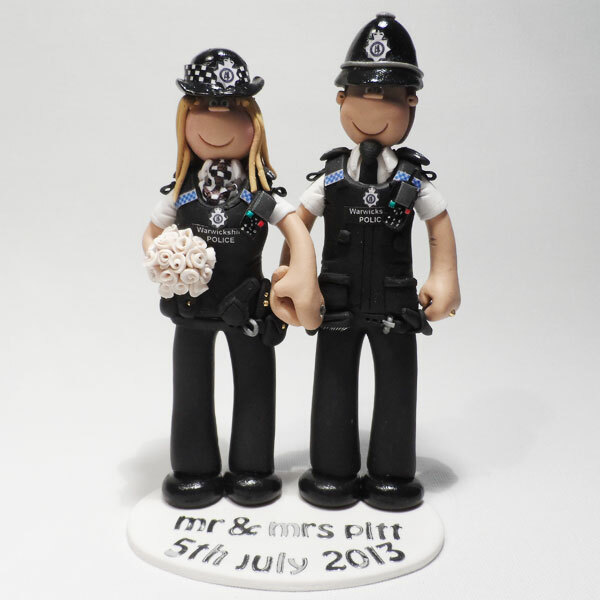 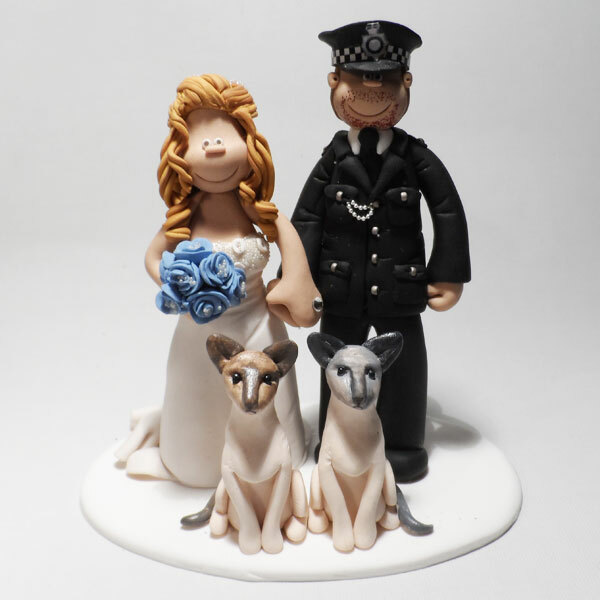 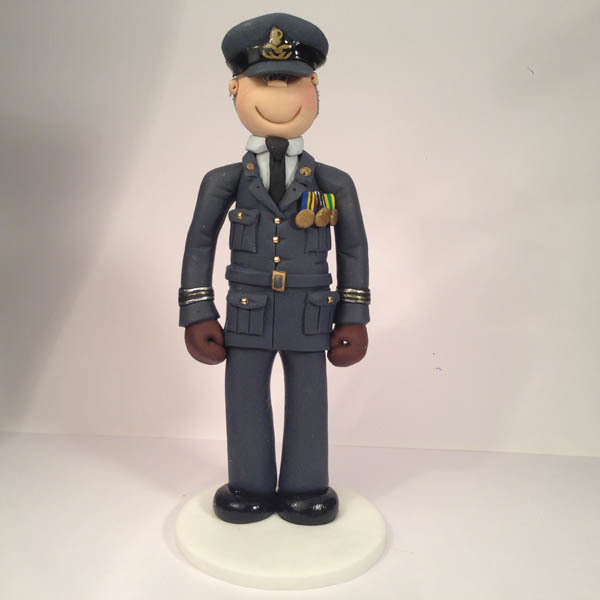 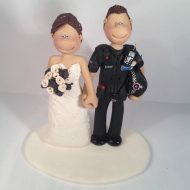 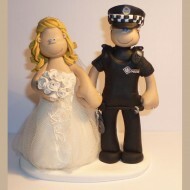 A cake topper where the policeman is missing his hat! 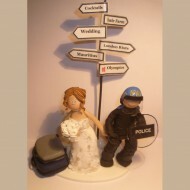 A bride who didn’t want her policeman fiancee getting away! 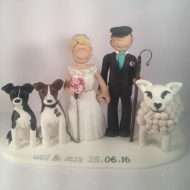 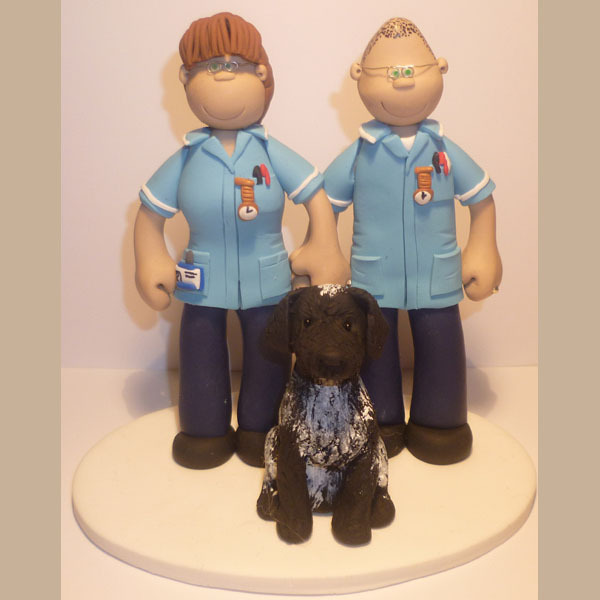 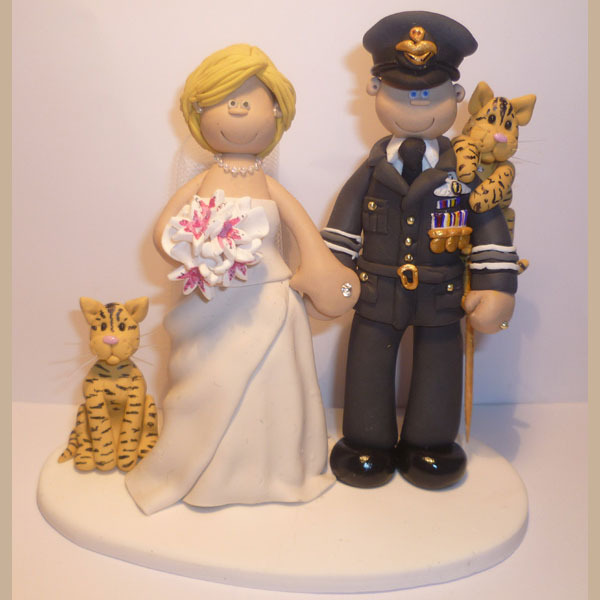 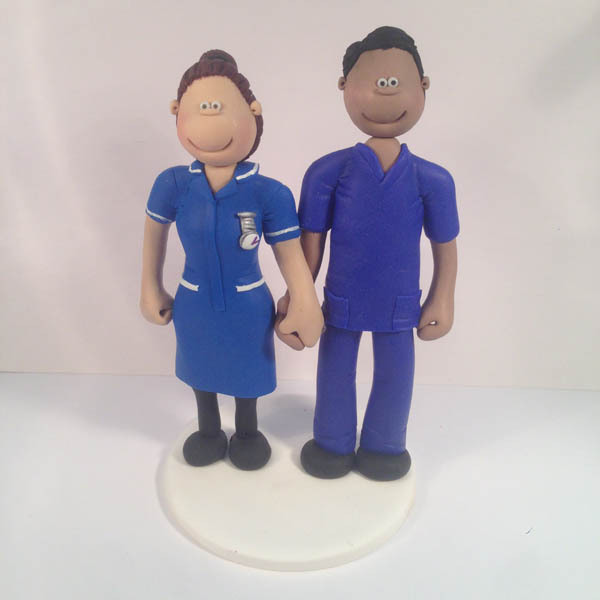 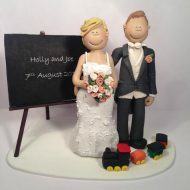 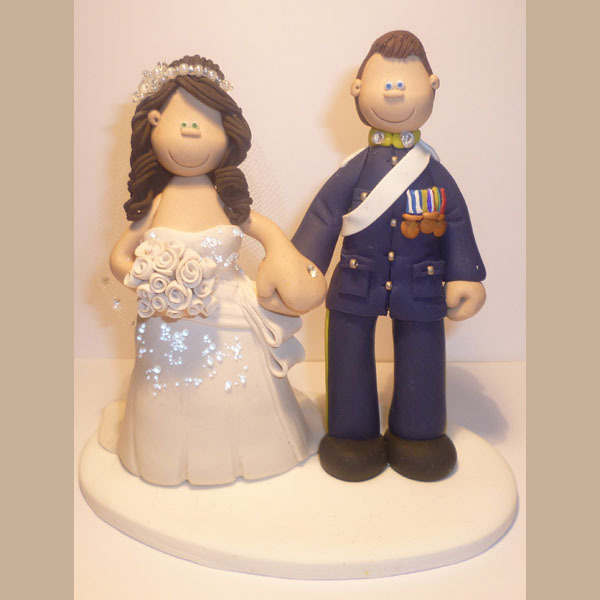 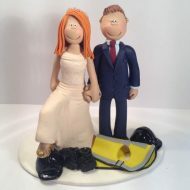 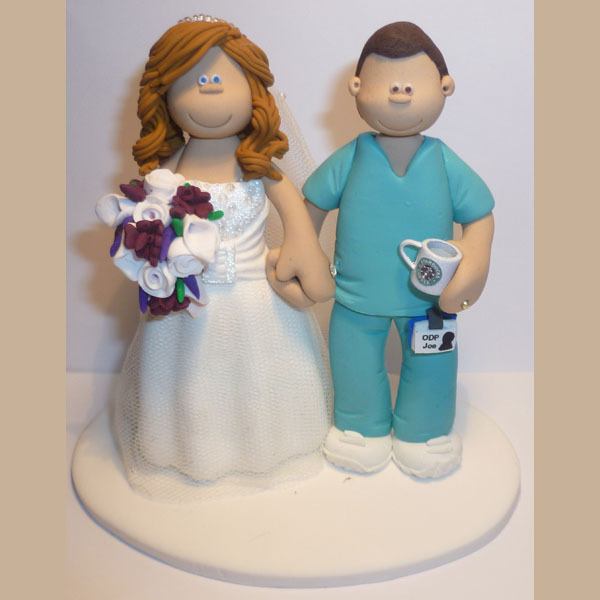 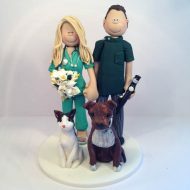 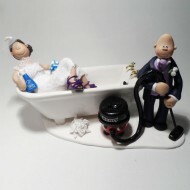 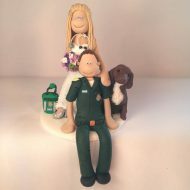 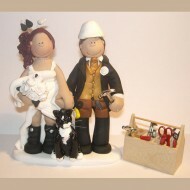 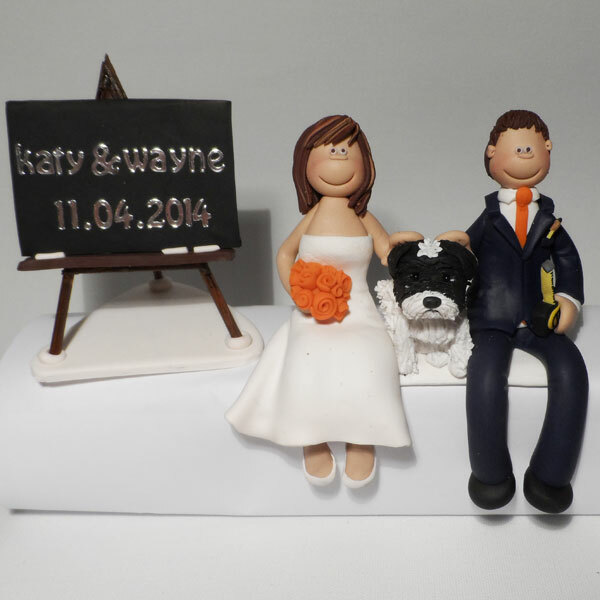 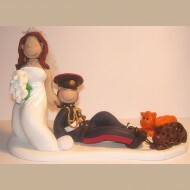 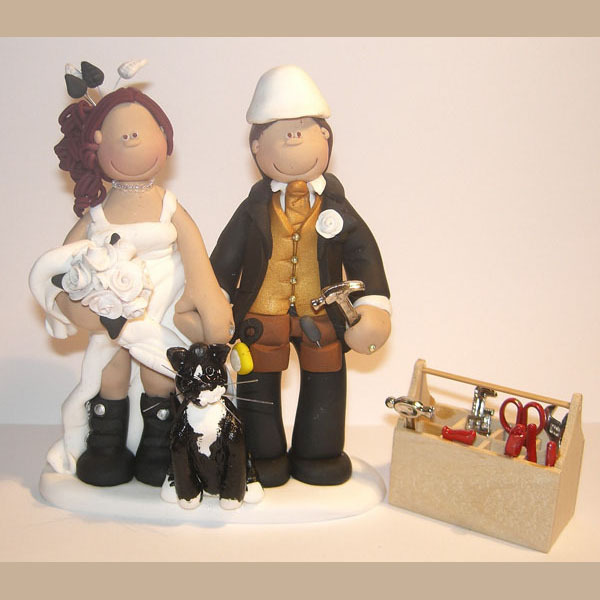 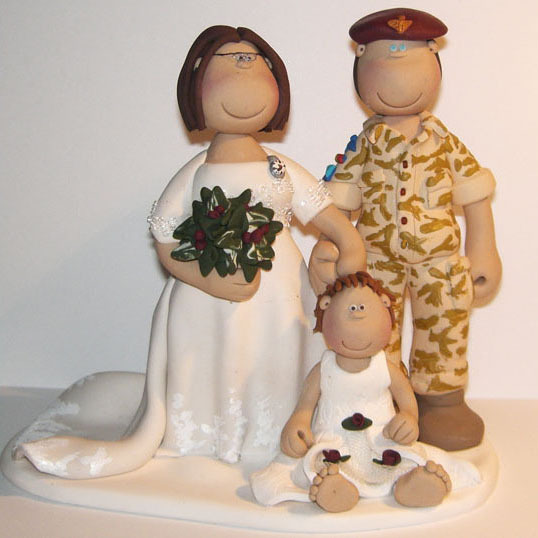 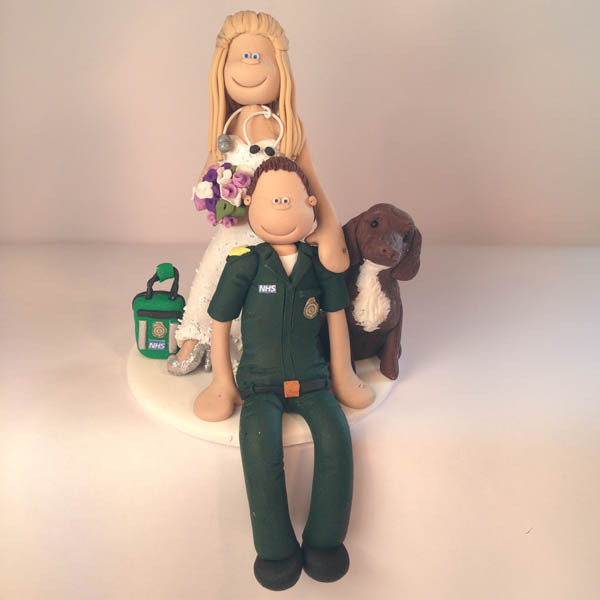 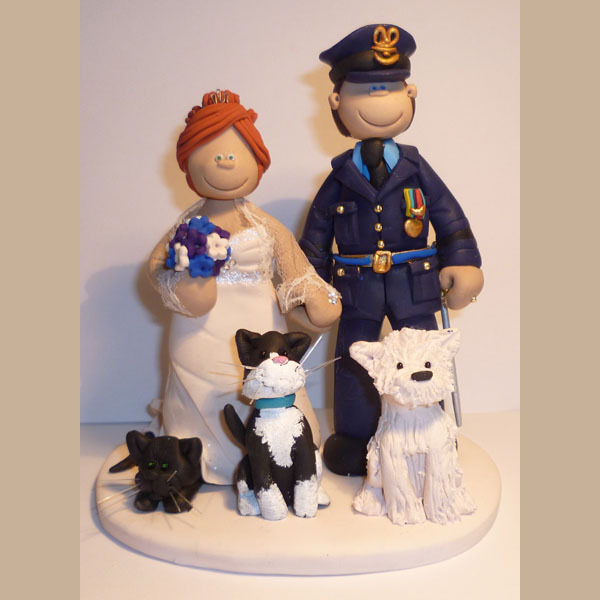 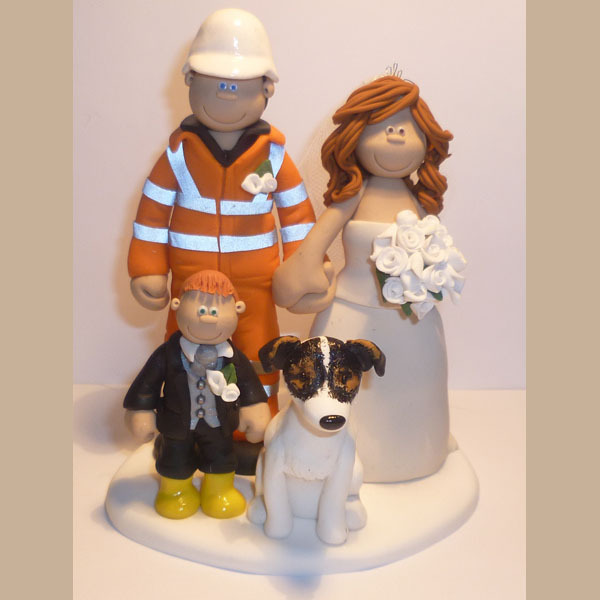 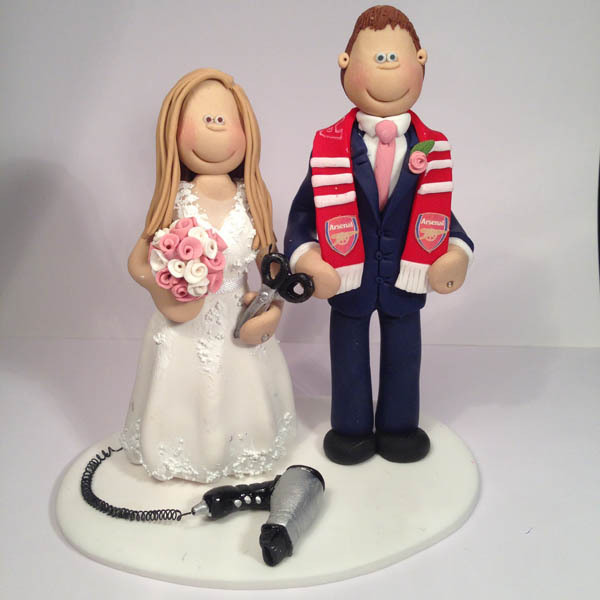 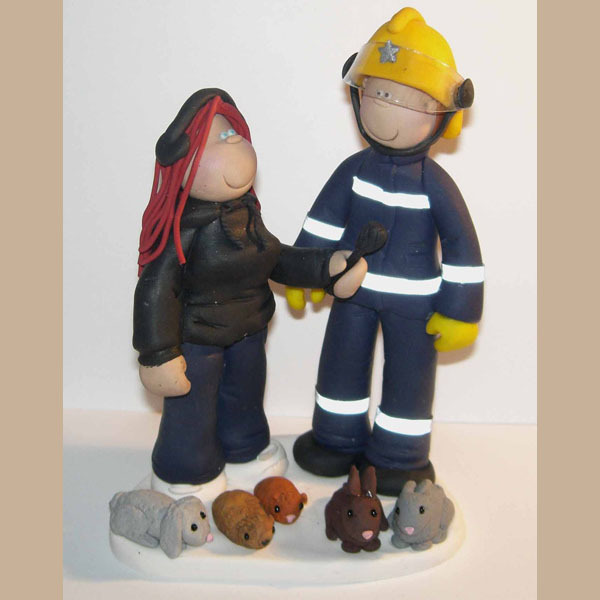 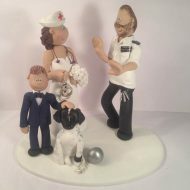 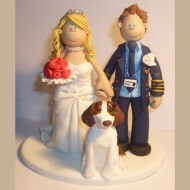 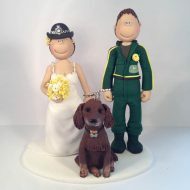 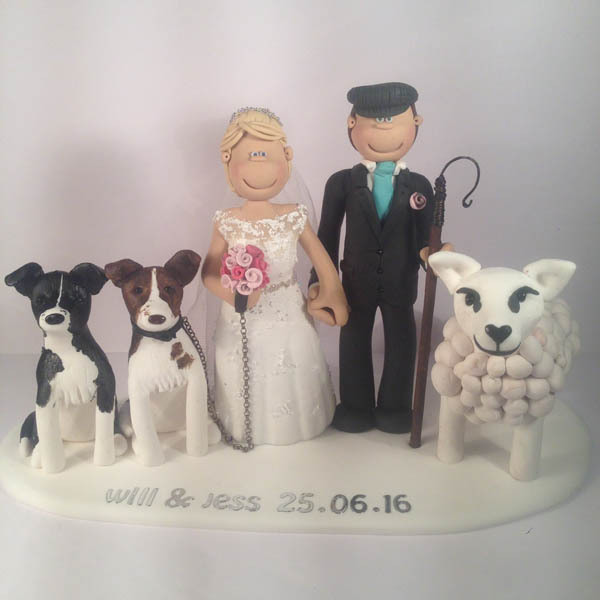 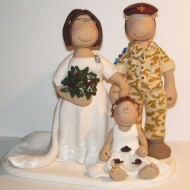 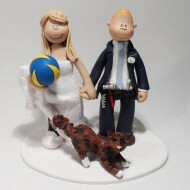 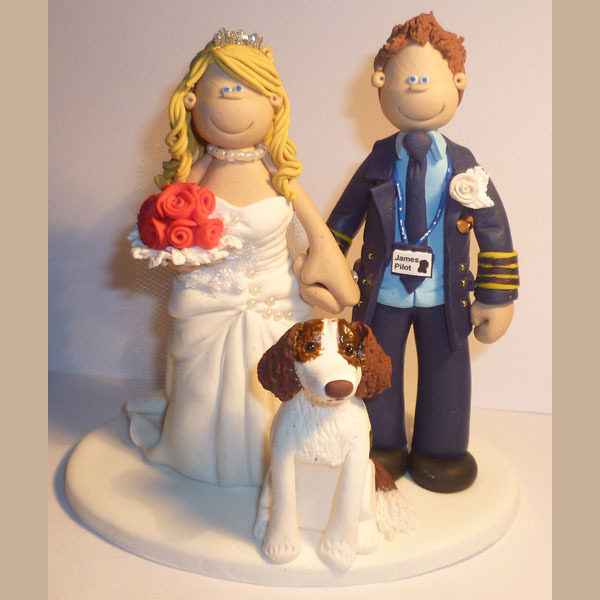 Henry hoover features in this cake topper with his owners! 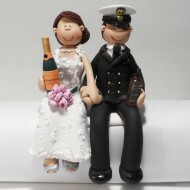 A bride dragging her naval officer to the wedding! 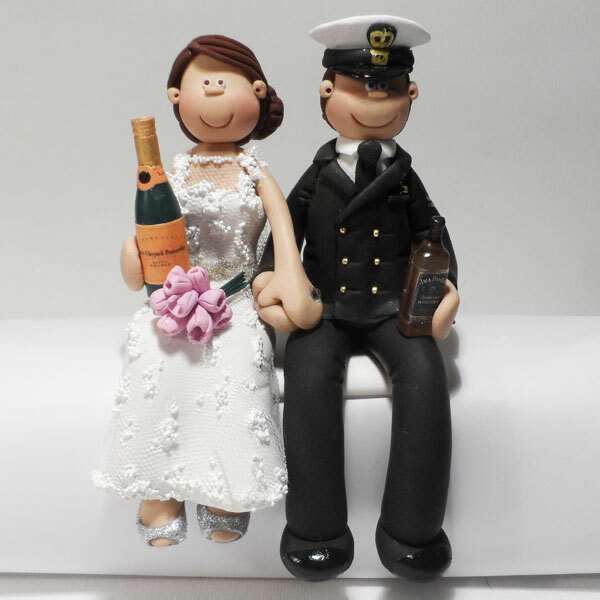 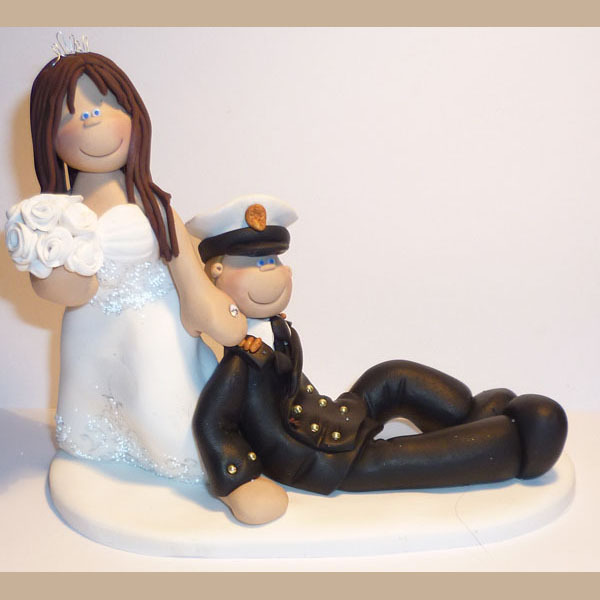 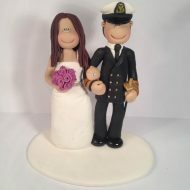 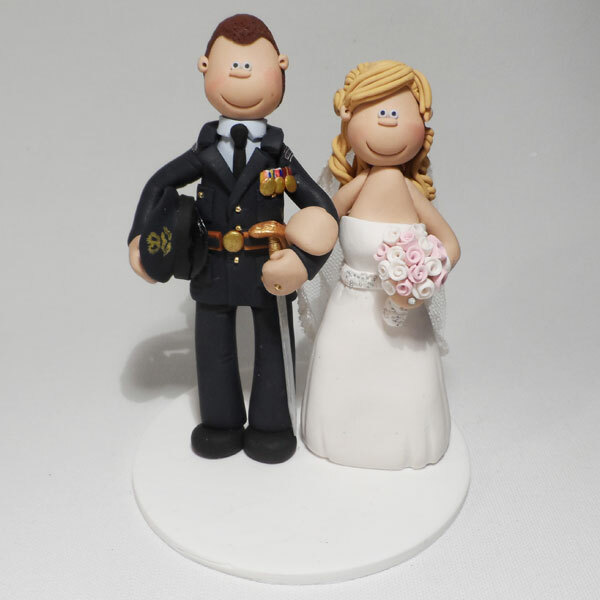 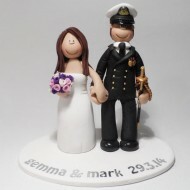 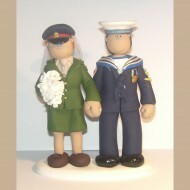 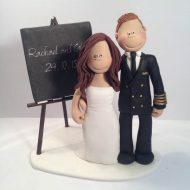 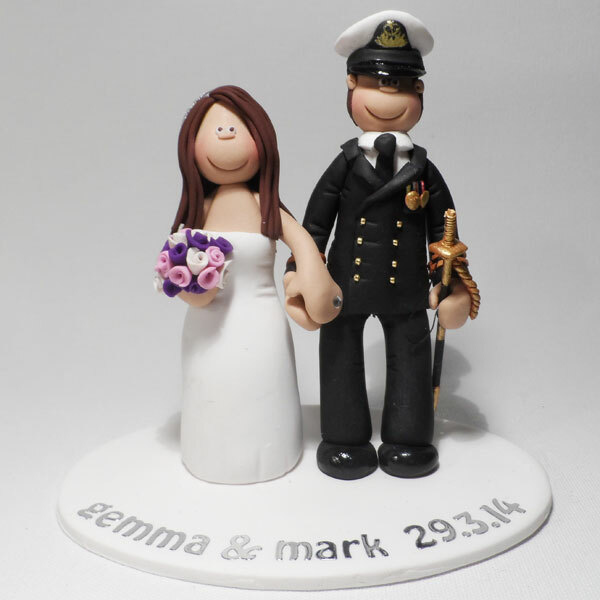 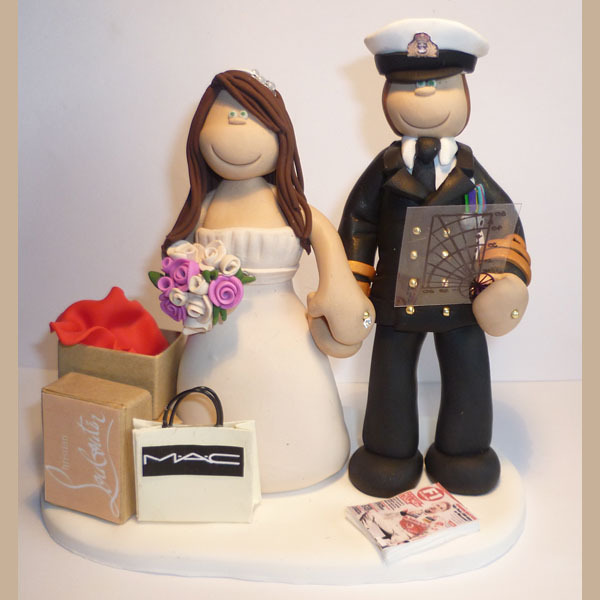 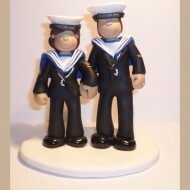 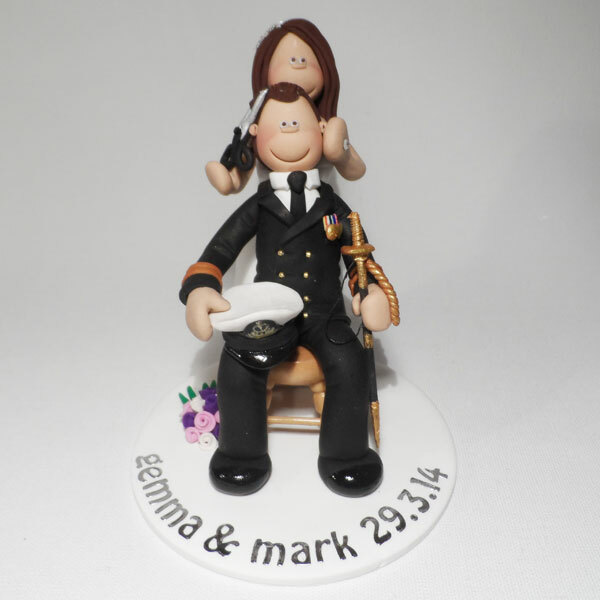 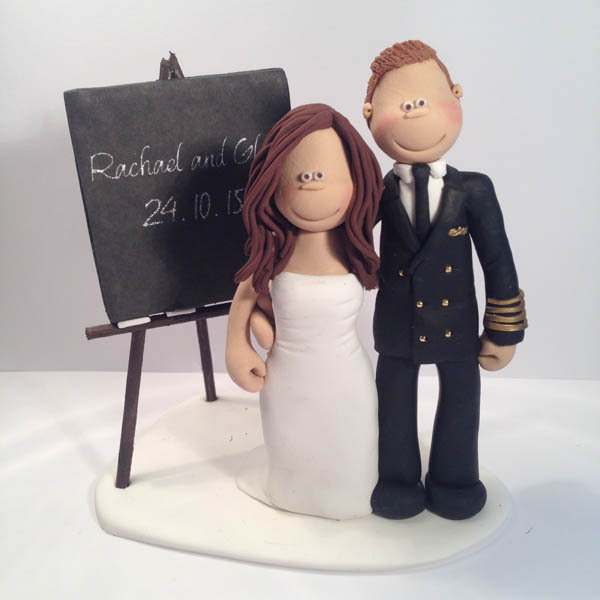 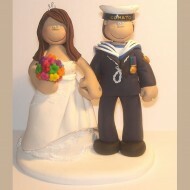 A very naval bride and groom cake topper! 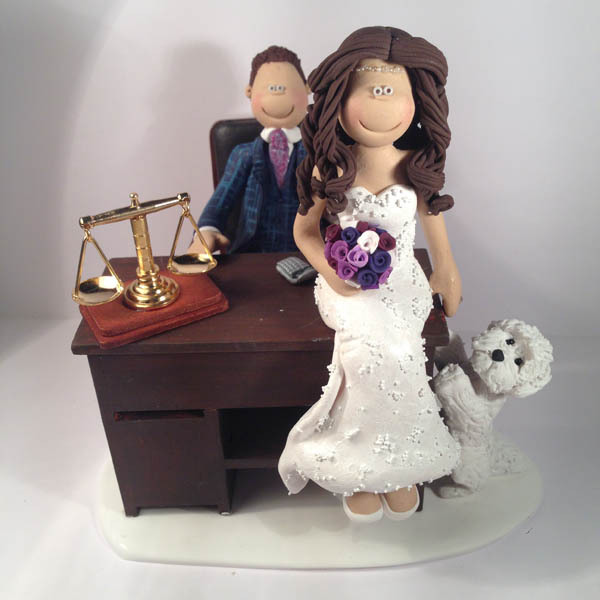 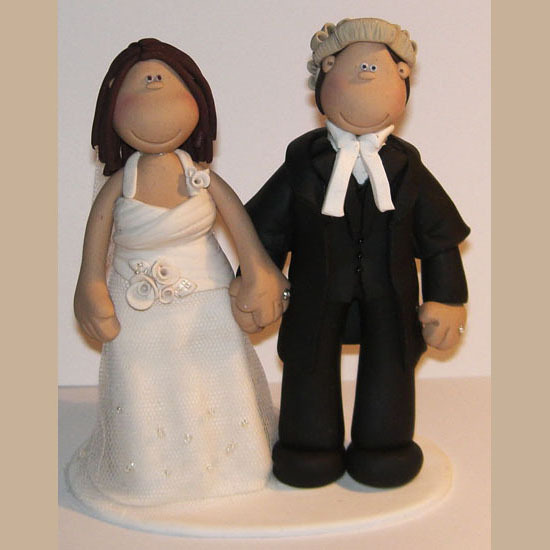 Another lawful cake topper, this one features a judge! 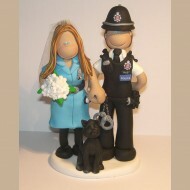 Another police officer couple, including a police horse! 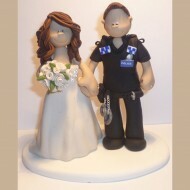 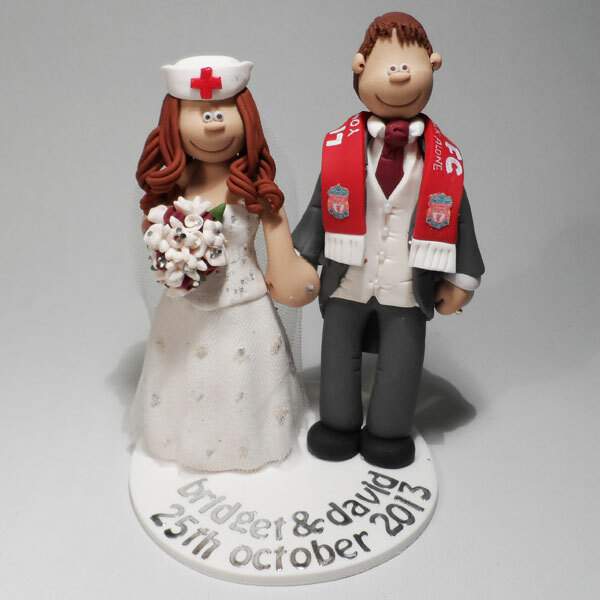 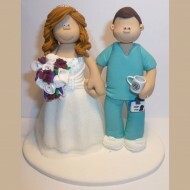 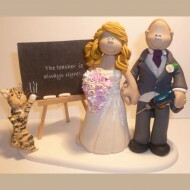 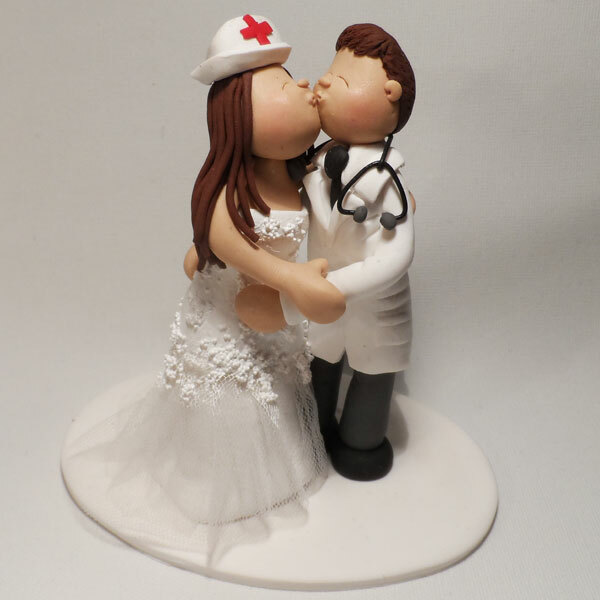 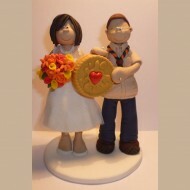 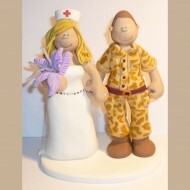 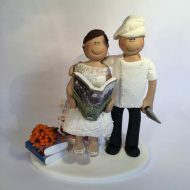 A very lawful bride and groom cake topper! 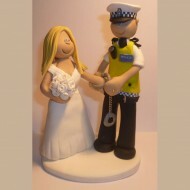 A sailor groom getting arrested by his police officer bride! This was a birthday cake topper for a surgeon! 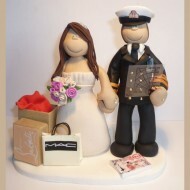 The groom in this topper was a wedding photographer!